Dental disease in our pets causes infection and pain. If you have ever had a toothache, your pet feels the same if dental disease has been diagnosed by one of our vets. Genetics play a role in the disease, but it is mostly caused by a lack of mechanical action on the teeth. This allows bacteria to stick to the teeth and form plaque and then calculus (mineralised plaque). As a result, bad breath is often noted. The pain is due to the inflammation of the gums (gingivitis), and sometimes due to the exposure of the tooth roots. Animals will not show signs of pain from dental disease, such as not eating, unless it is extremely severe. In the wild, dogs and cats are predators; so showing pain is a sign of weakness that is avoided unless it is so unbearable that it is not compatible with life. It is up to us to make sure that our pets are not in any form of discomfort. In order to stop the disease from progressing, a dental treatment is required under a general anaesthetic. The procedure allows the vets to properly examine the entire mouth and teeth, and then promptly initiate the appropriate treatment. The instrument used is able to crack the hard calculus from the teeth and remove the focus of infection. Tooth extractions may be required for various reasons, for example, fractured teeth. Dental x-rays may also be necessary in order to assess the tooth roots and jaw bone, and to ensure there are no abnormalities or disease associated with these structures. Once the dental procedure has been performed, slowing down the process of dental disease is vital. The aim is to reduce the number of bacteria that are able to attach to the teeth each day. There are mechanical and chemical means of doing this. Daily tooth brushing works best, as it ensures mechanical action on every tooth. A finger brush can be used with dog and cat toothpaste – we sell chicken or beef flavour! It is important not to use human toothpaste, as it is not safe for cats and dogs to swallow. Dental chews and dental diets are also great ways of increasing the abrasive action on the teeth. They are formulated to allow the teeth to sink into the product as your pet chews, aiming to mimic a toothbrush. Greenies and Oravet chews are a great daily treat. Hills or Royal Canin dental diets are completely balanced and can help prevent dental disease. Bones can have a similar effect, however, there are many more risks associated with feeding your pets bones: tooth fractures, mouth ulcers, pancreatitis, gastrointestinal foreign bodies or perforations, constipation, and bacterial infections. We advise against the feeding of bones. If your pet needs a dental treatment, then the Best for Pets program is a great one to sign up for because (apart from other benefits), it includes a pre-anaesthetic blood test (usually valued at $128) as well as a $250 discount from the dental procedure. A blood test is strongly recommended before the anaesthetic. 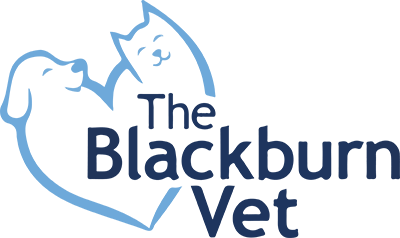 It allows the vets to assess the liver, the kidneys, and the blood cells in order to ensure the safest and smoothest anaesthetic for your pet. For the month of August, all Best for Pet members will automatically go into the draw to win a three-month supply of Hill's t/d food for their pet. Best for Pet members will also be eligible to use their further 10% discount on food in conjuction with the current offer (see image at the bottom of the article). Marley saw Dr Brigida for his yearly vaccination. On examination of his teeth, severe calculus accumulation was noted, which required a dental treatment to remove the focus of pain and infection. The yellow and green material on the teeth of the before photo is the calculus. The redness on the gums of the after photo is the gingivitis caused from the calculus on the teeth. This reduces within a couple of days. The front teeth (incisors) were extracted due to severe gum loss and exposure of tooth roots. Marley is now extremely happy at home – he is even more affectionate than usual and eating really well. He is now eating Royal Canin dental food and his owners are brushing his teeth every day. We will see him again in 1 month for his free dental check, hopefully the dental care is going well!